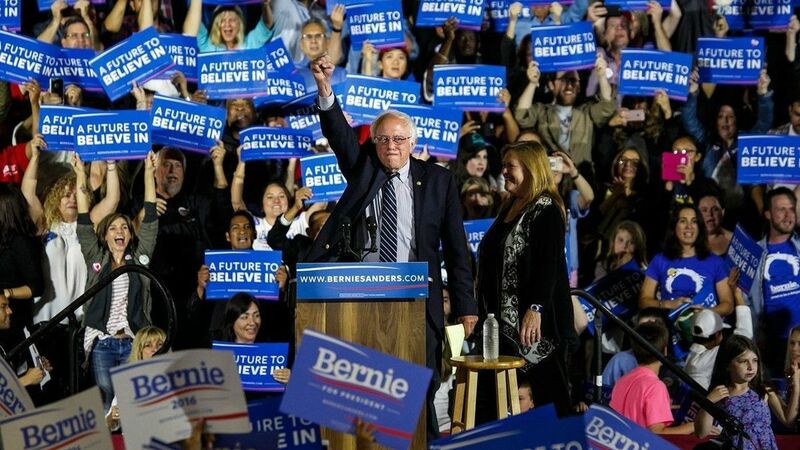 On Feb. 19, the famous Vermont senator, Bernie Sanders, announced he would be running for president once again; this time in the upcoming 2020 election. Many might remember Sanders from his previous presidential campaign back in the 2016 election, as he was quite a popular candidate amongst the Democratic party. Although a large portion of his supporters were minors and unable to vote at the time, they can now, and many of them are still behind Bernie. The main reason Sanders has so many supporters is because of the socialist causes in which he is advocating for, including free universal health care and college for all, LGBTQ+ rights, wall street reform, racial justice, a $15 minimum wage, care for our veterans, lowering prescription drug prices, and making the wealthy pay fair share in taxes. “I think [what Sanders is advocating for] are very good and very pure causes,” said CHS World and U.S History teacher, Ms. Schaefer. If Sanders stays true to his words, these changes could be revolutionary. These causes are all things that Americans have longed for, yet have never been promised by a presidential candidate before. However there is also the question that many people seem to be asking: how is Bernie Sanders planning on paying for all of this? The answer is one of the causes themselves: making the wealthy pay fair share in taxes. Sanders’ announcement has broken records. According to CNN, Sanders raised about $6 million in the first 24 hours from around 225,000 individuals. For anyone interested in joining, you may do so at: berniesanders.com.